Pain which is associated with the major sensory nerve of the face is often termed Trigeminal Neuralgia. Where a specific cause cannot be found a diagnosis of Atypical Facial Pain may be applied. Trigeminal neuralgia is a sudden, severe facial pain, described as sharp, shooting or like an electric shock. It usually occurs in sudden short attacks lasting from a few seconds to about two minutes, which stop just as abruptly. In the vast majority of cases it affects part or all of one side of the face, with the pain most commonly felt in the lower part of the face. Very occasionally it affects both sides of the face, but not normally at the same time. People with the condition may experience attacks of pain regularly for days, weeks or months at a time. In severe cases, attacks may occur hundreds of times a day. It’s possible for the pain to improve or even disappear altogether for several months or years at a time (known as a period of remission), although these periods of remission tend to get shorter with time. Some people may then go on to develop a more continuous aching, throbbing and burning sensation, sometimes accompanied by the sharp attacks. Typically, the attacks of pain are brought on by activities that involve lightly touching the face, such as washing, eating and brushing the teeth, but they can also be triggered by wind (even a slight breeze or air conditioning) or movement of the face or head. Sometimes, the pain can occur without any trigger whatsoever. Living with trigeminal neuralgia can be very difficult and it can have a significant impact on a person’s quality of life, resulting in problems such as weight loss, isolation and depression. In the vast majority of cases, trigeminal neuralgia is caused by compression of the trigeminal nerve. This is the largest nerve inside the skull, which transmits sensations of pain and touch from your face, teeth and mouth to your brain. This compression is usually caused by a nearby blood vessel pressing on part of the nerve inside the skull. In rare cases, trigeminal neuralgia can occur as a result of damage to the trigeminal nerve, caused by an underlying condition such as multiple sclerosis (MS) or a tumour. It’s not clear exactly how many people are affected by trigeminal neuralgia, but the condition is thought to be rare. Some studies have suggested that around 27 in every 100,000 people are diagnosed with the condition in the UK each year, although this figure is probably too high as the condition tends to be over-diagnosed by doctors. Other estimates have suggested that there are about 6,500 new cases diagnosed each year in the UK. The condition affects women more often than men and is rare in people under the age of 40, although it can occur in younger people. Most cases are first seen in people between the ages of 50 and 60. 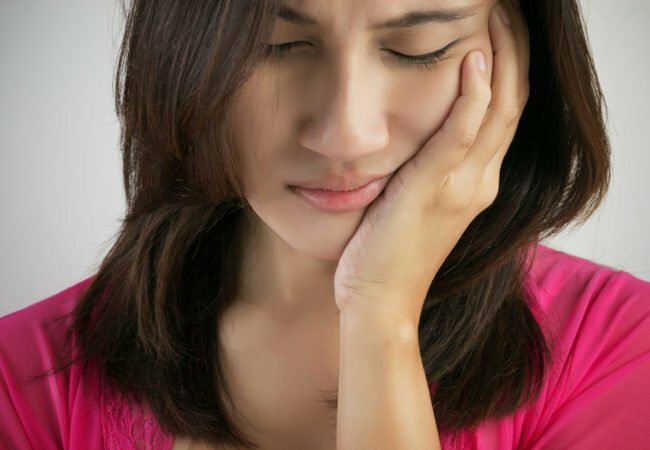 How is trigeminal neuralgia is treated? Trigeminal neuralgia is usually a long-term condition, and the periods of remission often get shorter over time. However, most cases can be controlled to at least some degree with treatment. The first treatment offered will usually be with an anticonvulsant medication (usually used to treat epilepsy) called carbamazepine. To be effective, this medication needs to be taken several times a day, with the dose gradually increased over the course of a few days or weeks so that high enough levels of the medication can build up in your bloodstream. Unless your pain starts to diminish or disappears altogether, the medication is usually continued for as long as is necessary, sometimes for many years. If you are entering a period of remission and your pain goes away, stopping the medication should always be done slowly over days or weeks, unless you are advised otherwise by a doctor. Carbamazepine was not originally designed to treat pain, but it can help relieve nerve pain by slowing down electrical impulses in the nerves and reducing their ability to transmit pain messages.